TGN League of Legends Community Tournament! 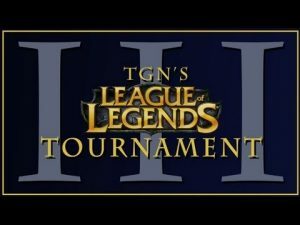 TGN announces their second League of Legends community tournament! League of Legends: TGN Tournament is Live! Hengest and Pureshield host the TGN League of Legends community tournament! “The Best and The Worst!” Part 2! “The Best and The Worst!” Part 1!